Mobile Sorters from National Mailboxes includes sorters that can be moved around on casters, and high density sorting centers with moveable sorters. 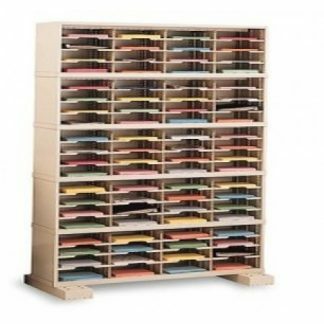 Mobile Sorters with caster bases are great for businesses where sorters need to be moved often. 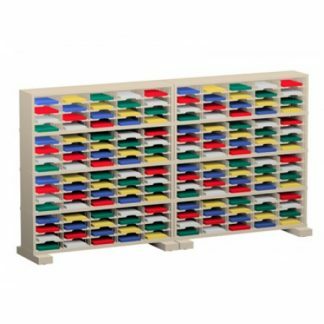 High density sorting centers are designed for Universities, Hospitals, Pharmacies, and Government facilities where more pockets are needed but floor space is limited. 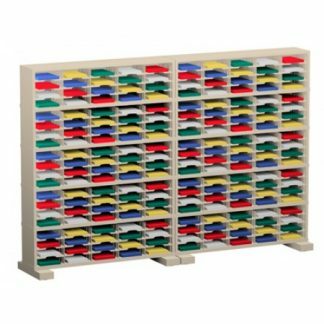 Pockets are adjustable in height and the sorters are made out of heavy duty steel construction. Made in the USA!